Each year since 2002, an Emerging Researchers in Ageing Conference has been hosted by an Australian university. For the first four years, the Australasian Centre on Ageing at the University of Queensland convened the ERA Conference. 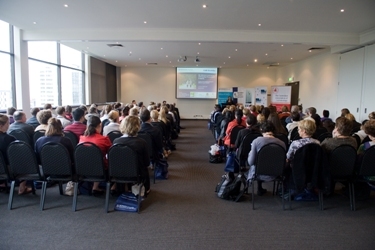 From 2006, the conference began to travel, and has since been hosted by eight different universities across Australia. The ERA conference is the only national conference in Australia that exclusively showcases the work of postgraduate students doing research in ageing. It has grown larger each year, and now attracts between 100 and 150 postgraduate student presenters and attendees, along with a variety of academics, policy-makers and representatives from community organisations in ageing. It provides excellent opportunities for postgraduate researchers in ageing to network with their peers and with more senior people in the field, and to keep abreast of contemporary trends in ageing research. We hope to see you at the next ERA Conference!